Dynamic academic counseling tool assists aeronautical college’s students in planning their course load and weekly schedule. 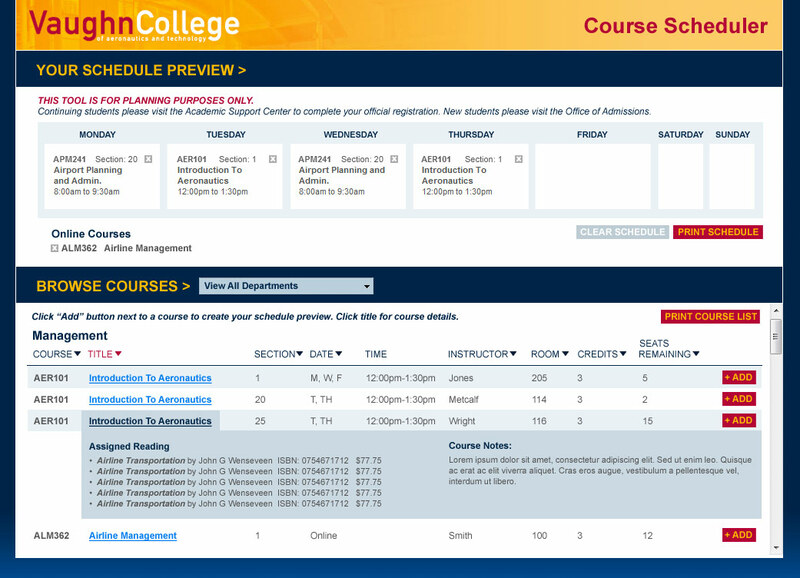 Students can search courses by department, date, time, instructor, and availability to create their semester schedule. Alerts for duplicate course selection and date/time conflicts help users along the way. Tool interfaces with college’s current course database to provide schedule info and additional course details, syllabi and assigned reading.